Benzyl alcohol is a substance that dissolves other, mostly solid, substances to form a solution. It is easily shipped globally, since it is not combustible nor flammable. It is a colorless liquid that has a burning taste and slight odor. 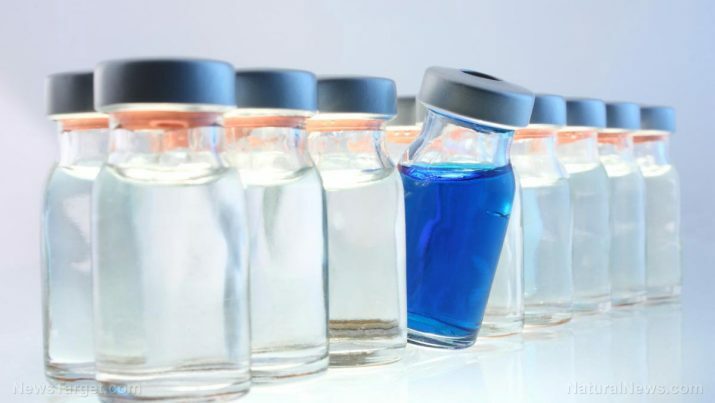 Benzyl alcohol is used to reduce pain in intravenous medications and other injections, cosmetics, head lice treatments, cold sores treatment, food enhancer, perfumes, photography development, and different types of ink and paint solvents. Other names and synonyms of benzyl alcohol include: phenylmethanol; CAS 100-51-6; EC 202-859-9; benzenemethanol; phenylcarbinol; benzylicum; phenylcarbinolum; bentalol; a-Hydroxytoluene; pentadeoterobenzyl alcohol; polystyrene cross-linked with divinylbenzene, hydroxymethylated; and hydroxymethylbenzene. Contact with benzyl alcohol may result in irritation of the skin, eyes and mucous membranes. Benzyl alcohol may be toxic by ingestion. Common side effects of benzyl alcohol lotion (five percent) include irritations of the skin, scalp, eyes and numbness at the site of the application. Other negative side effects include rashes, hives, shortness of breath, wheezing, cough, swelling of the lips, tongue and throat. Severe reactions may include tightness of the chest, fever, blue or gray skin color, and seizures. Benzyl alcohol is mutagenic to bacterias and yeast. Using benzyl alcohol products in premature infants may lead to serious respiratory, heart- or brain-related events such as seizure, coma or death. It may cross the placental barrier in pregnant patients. Benzyl alcohol is also associated with the increased frequency of cerebral intraventricular hemorrhages and mortality in low birth weight infants. There may also be a delay in development and cerebral palsy in that patient population. Gasping syndrome, a respiratory condition that affects newborns, is associated with benzyl alcohol poisoning. That being said, benzyl alcohol is a teratogenic chemical, unsafe for pregnant women and their babies. Benzyl alcohol may be toxic to the liver and the central nervous system. Occupational or prolonged exposure to this substance may produce damages in various organs. It is mutagenic and teratogenic. Further studies need to be conducted to determine if benzyl alcohol is carcinogenic. Intravenous medications are often treated with benzyl alcohol, to act as a bacteriostatic preservative. Benzyl alcohol can be found in head lice treatments, but it can also be used directly (using a five percent solution only). It is also found in cosmetics, perfumes, personal care products, baby products and cleansing products, as an ester. Some food manufacturers use benzyl alcohol in pre-packaged foods to enhance the food’s flavors. It is also commonly used as a component of inks, paints, epoxy resin coatings and lacquers. The following are variants of benzyl alcohol, usually printed on the product label: sodium benzoate, benzoic acid, benzyl benzoate, calcium benzoate and potassium benzoate. Benzyl alcohol is naturally found in apricots, snap beans, cocoa, cranberries, mushrooms, honey, jasmine, hyacinth and ylang-ylang. Benzyl alcohol may cause many different side effects, usually in solutions higher than five percent. Avoid using products that contain benzyl alcohol, especially the ones that have more than five percent solutions. In case of benzyl alcohol poisoning or exposure, follow the necessary first aid procedures as specified below. In case of eye contact, check for and remove contact lenses. Flush eyes with clean, running water for at least 15 minutes with eyes open. On skin contact, immediately wash the affected part with clean water and a disinfectant soap. Cover with a soft, clean cloth to avoid further contamination. For serious skin contact, get medical attention. If inhaled, move victim to an open area with fresh air. Give artificial respiration if victim is not breathing. Give oxygen to those who find it difficult to breathe. Contact medical services immediately. If ingested, transport the victim to the nearest emergency department as soon as possible. For all cases of poisoning or severe exposure or contamination, transport victim to the nearest emergency room immediately. Do not wait for symptoms to arise. Is Your Perfume or Cologne Toxic? Benzyl alcohol can naturally be found in most plants, but is toxic to humans. Benzyl alcohol can cause a variety of negative side effects, especially in solutions greater than five percent. Benzyl alcohol must not be ingested at all costs.